Egyptologist and Guest Curator Dr. Peter Lacovara has incorporated the research and scientific discoveries revealed in the GE Presents: The Mystery of the Albany Mummies exhibition into a new exhibition about Ancient Egypt. Visitors to the museum will continue to enjoy the story of the Albany mummies, learn about the history of Ancient Egypt, and see how the intersection of new science, technology, and scholarship changes how we learn. 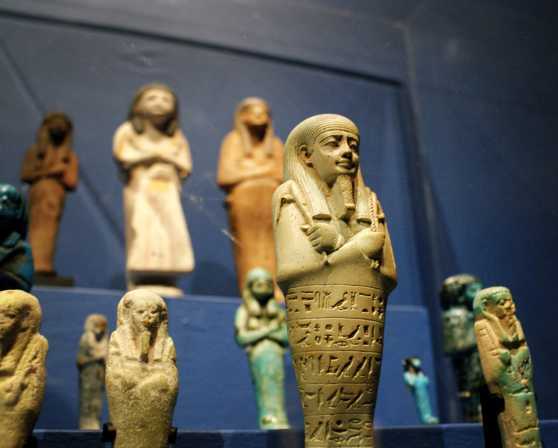 In addition to the story of Mummy Ankhefenmut, theme and topics in the new galleries include: Egyptian History and Civilization; the Nile and the Environment; Crafts and Professions; Food and Drink; Gods and Goddesses; and Preparing for the Afterlife. The Jabbur Gallery now features the story of Albany's 3,000 year old mummy, Ankhefenmut, a priest and sculptor in the Temple of Mut, along with his recently discovered priest's robe, his coffin base from the museum's collection, and his beautiful coffin lid on loan from the Kunsthistoriches Museum, Vienna. 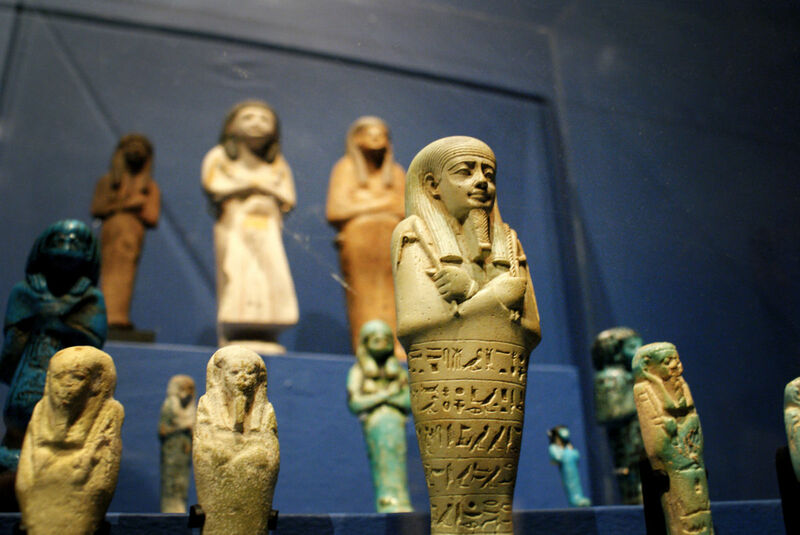 The museum's Ptolemaic Period mummy and his coffin are now on view in the Heinrich Medicus Gallery with a selection of over seventy objects highlighting ancient Egyptian daily life, afterlife, and animal mummies. Joining objects from the museum's collection are loans from the Phoebe A. Hearst Museum of Anthropology, Museum of Natural History, the Metropolitan Museum of Art, Museum of Fine Arts, Boston, the Semitic Museum, Harvard University, University of Pennsylvania, Williams College, and a number of private collections. Also included are a timeline and a slide presentation highlighting the trip the Albany Mummies took to Albany Medical Center for x-rays and CT scans, which revealed new information about the age, gender, and occupation of these mummies.